Look at this kid! 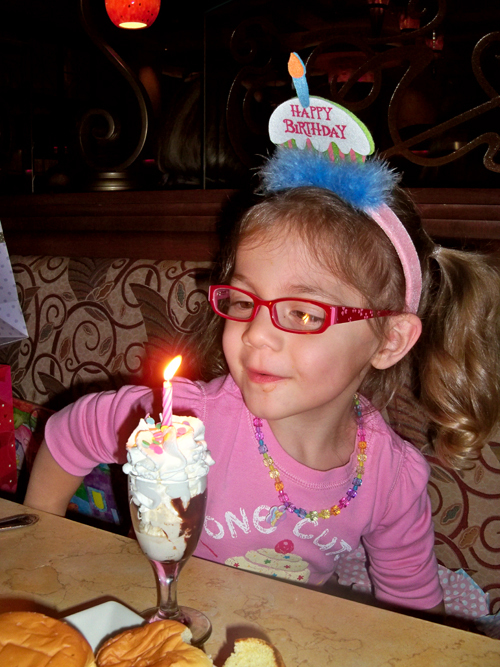 Is there anything better than a birthday sundae? Apprently not. I don't enjoy remembering her entry into this world and the scare with her and her mom, but I like to think about the day she went home looking like an alien in a car seat. Happy Birthday Lauren, you four year old you. Such a miraculous thing, this child! And how joyous she looks in this photo (I would too, with that sundae to enjoy)! Wow, four! I remember reading Tina's blog and checking back for updates when she was born. And for a little girl that took so long to grow some hair, she sure has made up for it. Adorable!